Here is an old tried and true recipe that I want to share with you. 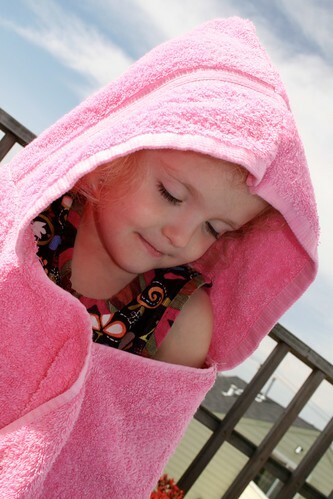 You know those sweet towels with hoods that you see around for $$$? We can make them! These are the sleeper winner gift of all time. I made a whole set four years ago when my last nephew was born. Each of the boys got one. On a recent visit to their home (in ENGLAND) I saw all the towels hanging in the bathroom. I looked at them carefully, as my test subjects, to see what I could do better. They were well loved and I just need to really really reinforce the stitching. My sister-in-law offered that they were favorite things in the house and had been well loved over the years. (who knew?) So here, I offer you the details. 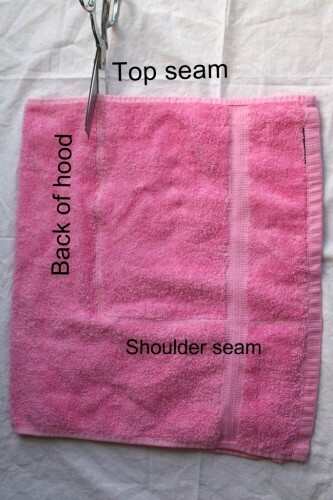 The hand towel becomes the hood. 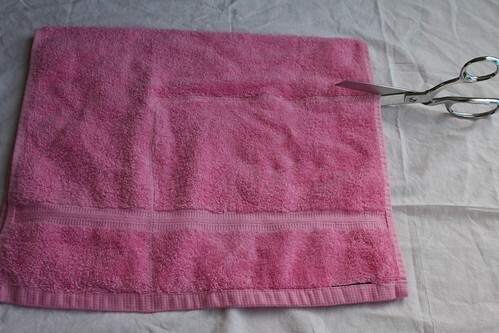 Fold the towel in half carefully, with right sides facing IN, and pin the finished edge. 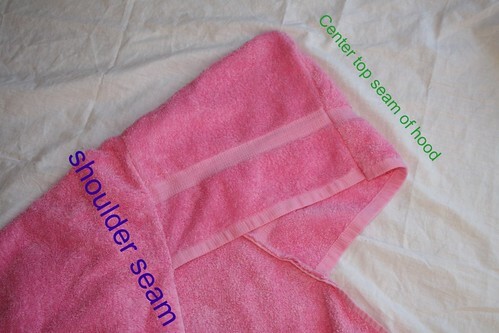 (There is a tiny hem on the finished edge of the towel, and you want this to be on the inside of the hood.) Mark 10″ from the front edge and 10″ from the top edge with a marker. In the picture below, the end of the ruler is on the line that will become the seam at the back of the head. Zig Zag stitch twice along this line. Then, “open” the hood, and lay it flat. zig zag stitch across the bottom to create the shoulder edge of the hood. 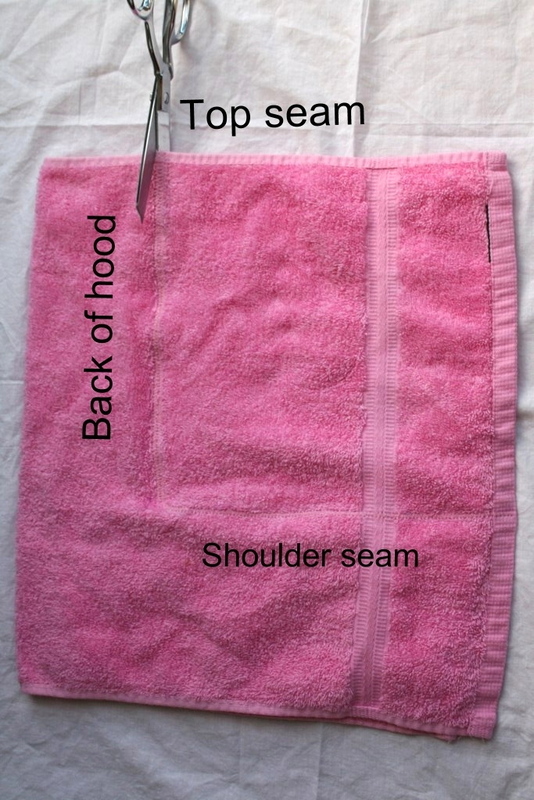 You are not sewing through the two layers of the towel here, but through one layer on both sides of the back of the hood. Here is how the seams will look when the hood is sewn in place. 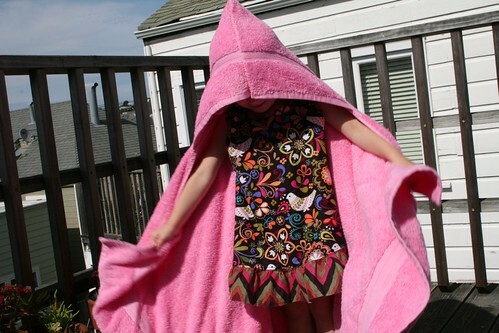 My lovely model, demonstrating how a butterfly looks in a hoodie towel. She gets all wrapped up warm in her’s after bath time. 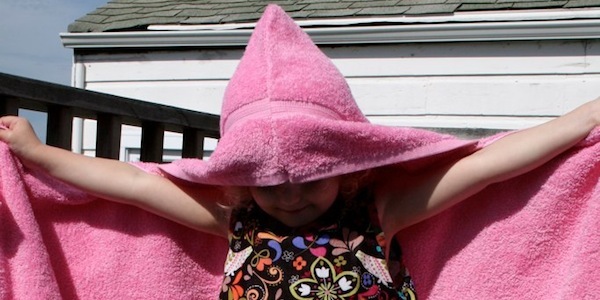 I can’t wait to see pictures of all YOUR hoodie towel creations in our Flickr group! 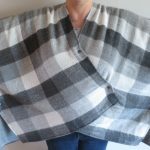 7 years ago by Susi in Needlecraft , Projects , Sewing , Sewing Projects | You can follow any responses to this entry through the RSS feed. You can leave a response, or trackback from your own site. THANK YOU. I really need to make one of these. That does look like a great kid project. It is both functional for bathtime and for costume play time. 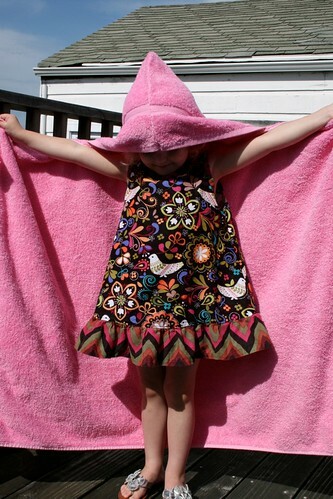 I love this.I am going to make it for a teenager do you think I should increase the hood size? 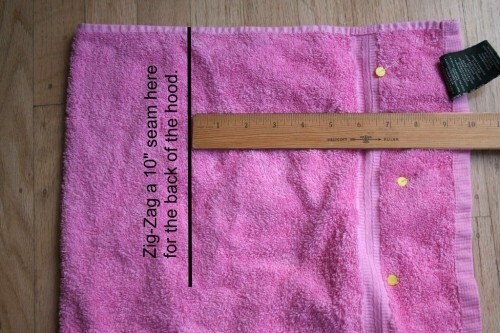 I’ve made it its fab.I made the hood 14 inches square instead of 10.Next time I am still going to 12inches as 14 is quite big.I’ll let u know how I get on. Wow Carla, you are quick! So, how does the teen like it? I have a teen in mind for one myself. That was FAST! I think a big hood would be neat…like a super hero dressed for night! But if it is bothersome, then you don’t want that either. I’m sure the sewing and design is superb here. But would ANYTHING look bad on that model. Is there a video tutorial on this?